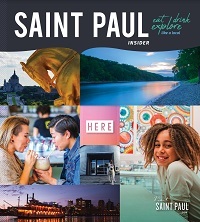 How do you shop in Saint Paul? Handsome Hog’s Justin Sutherland shows us how he does it. If you’ve never been to Handsome Hog, you’re missing out on the Southern-inspired menu that this “smoke and bourbon” restaurant brings to Lowertown. Pull up a chair at the bar and see if Justin, the Hog’s executive chef, is around. He makes some serious food, and he’s more than happy to tell you about what he’s up to in Saint Paul. If you want fresh, local flavor, this is where you’ll find it. The St. Paul Farmer’s Market is at its best on Saturdays and Sundays in Lowertown, but check their website for smaller markets around the metro area during the week. If you love beer from here, you should see what’s on sale at The Beer Dabbler Store on West 7th. Whether you’re looking for apparel, equipment, glassware or gear, The Beer Dabbler probably has what you’re looking for if it’s beer-related. If you’ve been making suits for more than 100 years, then you probably know how to make a great suit. Heimie’s Haberdashery is known for its attention to detail in men’s clothing, and it’s undisputedly the best place to go in the Twin Cities for a fitted look. Selby Avenue should be on your Saint Paul to-do list anyway, so make your way over to BlackBlue for great boutique shopping. As Justin references in the video, this shop carries brands that you’ll have a hard time finding elsewhere, and you’ll get that boutique feel. If you’re a fan of cooking, then you’re already a fan of Cooks of Crocus Hill. Bring home something new for your kitchen, or sharpen your skills at one of their cooking classes (it makes a great group outing or date night). We haven’t met a dish at Mucci’s Italian that we haven’t liked. Whether you’re stopping by on a weekend morning for a tiramisu donut or gathering people together for a casual dinner out, this intimate West 7th restaurant quickly became a must-try after opening in spring of 2016. 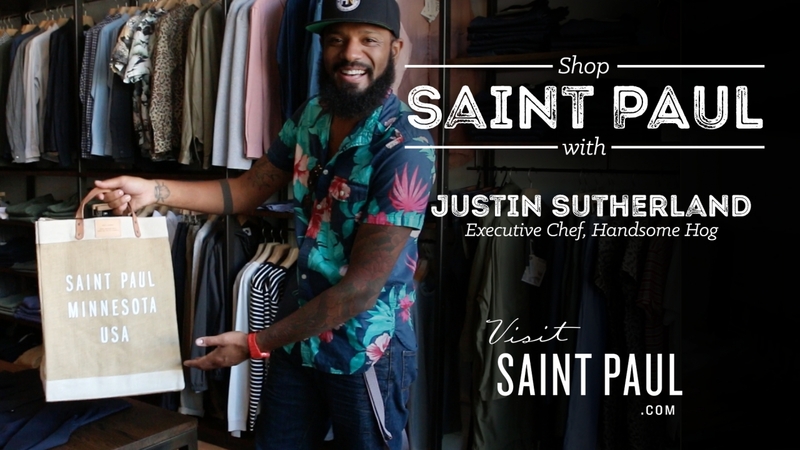 How do you shop in Saint Paul? Let us know on Twitter, Facebook and Instagram using the hashtag #MYSAINTPAUL!